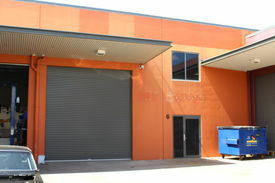 82 Commercial Real Estate and Properties in Toowoomba And South Eastern are listed in 6 categories. We have 35 Development Lands for Sale , 26 Industrial Warehouses for Sale , 16 Offices for Sale , 6 Retail Shops for Sale , 2 Hotels and Leisure for Sale and 1 Commercial Farms for Sale . 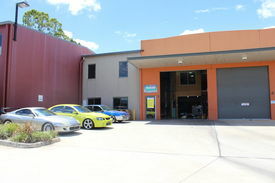 Prime Position In New Plainland Crossing Development EOI Close 4pm, 4 December..
Industrial Investment Opportunity - In Liquidation EOI Closing 26th October ..
2.11Ha of land consisting of a 975sqm warehouse, 282sqm wash bay and a 166sqm office and driver facility The site has a mixture of gravel and concrete hardstand 12,810sqm of gravel hardstand and 5,564sqm of concrete hardstand Quality tenants including Shell Truck Diesel Stop, Dawsons Haulage, Shanahans Livestock and Rodney Transport Combined net income of $261,666.67pa + GST The Shell Company of Australia Limited stop on a 10 year lease commencing 2013 currently paying $86,666.67pa Net + GST Dawsons Haulage Pty Ltd on a 2 year lease commencing April 2017 currently paying $67,500.00pa Net + GST Shanahans Livestock Transport Pty Ltd on a 2 year lease commencing April 2017 currently paying $67,500.00pa Net + GST Rodney Transport to sign a 2 year lease on settlement for $40,000.00pa Gross + GST Prime position in Toowoomba's industrial estate approximately 15kms west of Toowoomba's CBD with exposure to Toowoomba Cecil Plains Road Approx. Retail/office Building - Cbd Fringe $1,650,000 + GST if appli..
Sought after CBD Fringe retail showroom or potential office conversion with fantastic frontage to Russell St NLA of 800m2 on 1,411m2 block on CBD fringe 580 m2 vacant floor area includes large open plan showroom area with great ceiling height, separate office/showroom area potential to split to 2 tenancies Bonus income with Jonny Sprockets renting adjoining shop Potential upper level tenancy with opportunity to refurbish to increase return Recently renovated, disabled access and amenities, kitchenette High clearance roller door access to large storage room with pallet racking, additional mezzanine area Rear entrance to gated car parking for 20+ cars plus loading area Surrounded by a multitude of dining and café options Only a short distance to Grand Central Shopping Centre approx. Lot 8, 10858 Warrego Highway corner Leeson Road 10.44 Hectares Frontages: 225 metre to Highway and 462 metres to Leeson Road Zoning: Medium Impact Industry, Transport and Warehousing Approx. 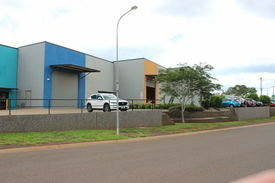 Charlton has been identified as a major warehousing and transport hub located approximately 10 kilometers to the West of Toowoomba. The significance of this area has been enhanced greatly by the announcement that: a) The new range road crossing, which will bypass Toowoomba, will have major access through Charlton. b) The inland rail and entensive associated stroage and warehousing development will be commenced this year (2014) c) Four major manufacturing and drilling companies has already invested substantial funds in facilities in Charlton; and d) Major upgrades to the Warrego Highway are planned to be carried out. A number of operators and developers have commenced seeking suitable sites in the area to take advantage of the anticpated growth phase. 525m2 block Town water, power and phone New curbing and channel road Sought after estate Low Density Residential zoning, Accepted Development for dual occupancy dwellings A rare opportunity has arisen to purchase your next home or duplex investment site in sought after Sanctuary Drive. All normal utilities including underground electricity, reticulated town water and sewerage services and high speed NBN. Newly established estate amongst quality homes, with wide frontage and only minutes to shops, medical schools. Build your dream home (estimated build price for a 4 bed $255,470) or investment duplex (est build price for 2 x 2 bed duplex $320,400) close to Wilsonton and all that Toowoomba City has to offer. Call Michelle Lember at The Commercial Guys now to secure your lot! 525m2 block Town water, power and phone New curbing and channel road Sought after estate A rare opportunity has arisen to purchase your next home site in sought after Sanctuary Drive. All normal utilities including underground electricity, reticulated town water and sewerage services and high speed NBN. Newly established estate amongst quality homes, with wide frontage and only minutes to shops, medical schools. 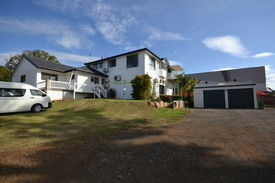 Build your dream home or investment close to Wilsonton and all that Toowoomba City has to offer. Call Michelle at The Commercial Guys now to secure your lot 0421 322 104. 512m2 block Town water, power and phone New curbing and channel road Sought after estate Low Density Residential zoning, Accepted Development for dual occupancy dwellings A rare opportunity has arisen to purchase your next home or duplex investment site in sought after Sanctuary Drive. All normal utilities including underground electricity, reticulated town water and sewerage services and high speed NBN. Newly established estate amongst quality homes, with wide frontage and only minutes to shops, medical schools. Build your dream home (estimated build price for a 4 bed $255,470) or investment duplex (estimated build price for 2 x 2 bed duplex $320,400) close to Wilsonton and all that Toowoomba City has to offer. Call Michelle Lember at The Commercial Guys now to secure your lot!. Unique Business Opportunity! Unique Business Opportuni..
An opportunity exists to purchase the long established recreational business known as Skate City. The business is located at 879 Ruthven Street on a long term lease with ample parking. Owner is relocating interstate and is reluctantly selling. Included with the purchase is all equipment at the business premises including hire skates(roller and inline), repair equipment, tables, chairs, counters, kiosk stock. Operating Hours currently are: Friday 7PM 10PM Saturday 10AM 12PM 2PM 5PM 7PM 10PM Sunday 10AM 12PM 2PM 5 PM Public Holidays 2PM 5PM School Holidays Monday to Friday 10AM 4PM In addition the business is also available for private hire, fundraising, parties, sporting presentations, workplace breakups, youth groups, and school groups. Make an offer on this unique business today! 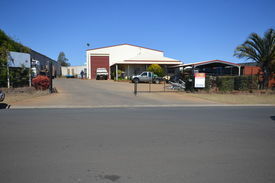 Inner City Offices $325,000 + GST (If Applic..
12 hectares (30 Acres) Frontage: 209m to Highway Improvements: Low set brick residence, shed, stables and horse yards Zoning: Medium Impact Industry Transport and Warehousing Approx Charlton has been identified as a major warehousing and transport hub located approximately 10 kilometers to the West of Toowoomba. The significance of this area has been enhanced greatly by the announcement that: a) The new range road crossing, which will bypass Toowoomba, will have major access through Charlton. b) The inland rail and entensive associated stroage and warehousing development will be commenced this year (2014) c) Four major manufacturing and drilling companies has already invested substantial funds in facilities in Charlton; and d) Major upgrades to the Warrego Highway are planned to be carried out. A number of operators and developers have commenced seeking suitable sites in the area to take advantage of the growth phase.